Opis: Bright stars don't last forever. 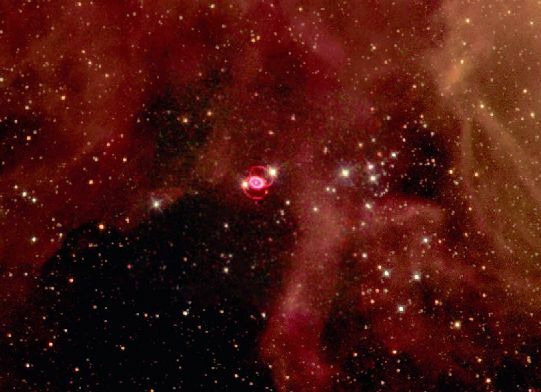 A bright star similar to others in this field exploded in a spectacular supernova that was witnessed on Earth in 1987. The result is visible even today as unusual rings and glowing gas. The above picture is a composite of recent images taken over several years. The explosion originated from a bright massive star that ran out of nuclear fuel. 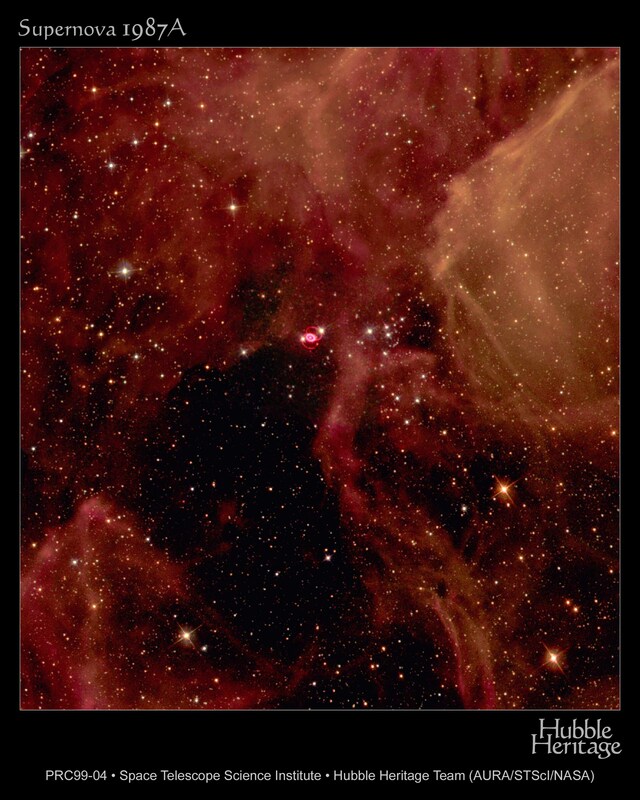 SN1987A occurred in the Large Magellanic Cloud (LMC), a satellite galaxy only 150,000 light years from our Milky Way Galaxy. The rings of SN1987A are currently excited by light from the initial explosion. Astronomers expect the inner ring to brighten in the next few years as expanding supernova debris overtakes it.